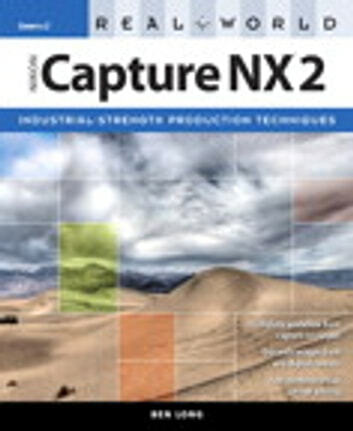 Capture NX 2 from Nikon is a powerful image-editing application that lets photographers work with digital photographs with more speed and efficiency than other software programs. Its underlying technology gives photographers the ability to make selective corrections to an image with just one click. "Real World Capture NX 2," written by digital photography expert Ben Long, takes photographers behind the scenes to see how this innovative program works. Along the way, Ben offers valuable tips and techniques for getting the most out of the software and digital cameras. 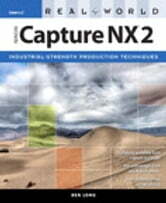 Novice and expert photographers alike will benefit from Capture NX 2. New users can make advanced image corrections without learning sophisticated masking techniques. Advanced users can perform the complex edits they are accustomed to making in other programs in fewer steps. Any image corrections made with Capture NX 2 are non-destructive, which means that the actual image data is unaltered and reversible until the photographer achieves the best results. Photographers who use Nikon cameras have access to special software features for working with raw, JPEG and TIFF images.